The I-Gaze interweave is used in conjunction with the standard protocol to facilitate attachment repair during phase four. This workshop will describe two models for phase three assessment and two interweaves for use in phase four, when the standard protocol is not effective. The Domains of Self-model aids therapists in rapidly assessing the relevant family of negative cognitions and what the challenges and resolution of each domain might look like. The Zone of Optimal Arousal examines the interaction of the window of tolerance and dual awareness variables so therapists can identify what, if any, interweaves will be needed in phase 4, including Somatic Interweaves. Lecture, PowerPoint, and video will be accompanied by numerous case examples. ** Please note** this online video is owned by Trauma Recovery / HAP it cannot be used for resale and only should be viewed by the recipient. **Please note** this online video is only available for viewing for 15 days. We will not be able to offer any extensions. Therapists will learn a typology of “self-experience” and be able to rapidly identify salient negative cognition for EMDR targeting. Therapists will be able to describe four varieties of suboptimal processing and identify strategies for intervention. EMDR therapists will be able to utilize somatic interweaves for maintaining their clients within the zone of optimal processing. Therapists will be able to utilize the I-Gaze interweave for attachment repair during phase four of the 8 phase EMDR protocol. Approximately 40% of the general population suffers from an insecure attachment style from infancy. These individuals are disproportionately represented in the psychotherapy population. Seen as a scalar phenomenon, the presentation of insecure attachment can range from an occult comorbidity of anxiety and depression to disabling personality disorders, intractable relational dysfunction, and self-harm. The associated symptoms of depersonalization, psychic numbing, and affect dysregulation present serious clinical challenges for which the standard EMDR protocol may need modification. The literature on attachment and social engagement in social mammals is replete with evidence of the importance of eye-gazing between parents and children, as well as between adults. The I-Gaze interweave offers an intimate, intersubjective dyadic resource to facilitate resolution of attachment trauma. This four-part training begins with the Domains of Self model: a heuristic for rapid assessment to differentiate attachment trauma from relational or shock traumas. The second part describes the zone of optimal arousal––a model that guides the therapist to assessing stability in phase 4 and how to remedy over-arousal. The third part describes somatic interweaves that are instrumental in regulating autonomic arousal. The workshop concludes with the I-Gaze interweave in its theoretical and practical aspects. Used in conjunction with the standard protocol, this interweave can facilitate attachment repair. Interweave specific transference and countertransference phenomena will be examined for their diagnostic and prognostic value. 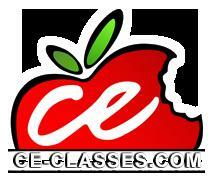 Ce-Classes.com is approved by APA, ASWB, NAADAC and numerous state boards to provide CE’s for Professional and Mental Health Counselors. This course is not available for NBCC credit. It is the responsibility of the licensed professional to check with their board. PLEASE NOTE: EMDRIA Credits are not valid for partially trained EMDR clinicians. Barry received his Master’s degree in family therapy in Philadelphia where he studied contextual therapy with is founder, Ivan Boszormenyi-Nagy. Barry is an EMDRIA Approved Consultant, and a member and frequent presenter for the ISSTD and EMDRIA. He has authored three chapters in as many books plus a journal article on the integration of EMDR with couples and family therapy, and has presented workshops at 12 annual EMDR conferences and numerous two-day trainings to international audiences. Barry was a misconduct investigator for the NH Board of Mental Health for a 10-year period. Barry is in private practice in Concord, NH.